Advantage Riders as they see off Sharks on the road. 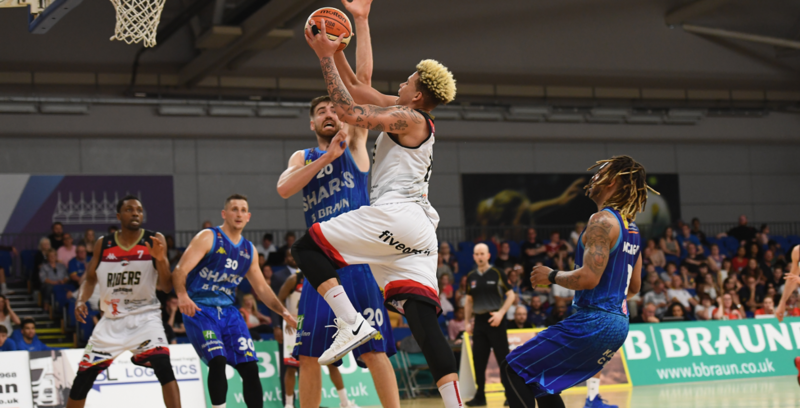 Leicester Riders will take a commanding advantage back home for Sunday’s Second Leg after beating DBL Sharks Sheffield by 12 on the road. The league champions finished strong to take control of the tie in a repeat of this season’s BBL Trophy Final. Turning point – Sheffield made a 9-0 start to the game and never trailed at any of the quarter breaks, but the visitors took control in the fourth with a dominant 14-27 quarter which may prove decisive in the tie. Key stat – Riders netted 15 triples in the game, while Sheffield struggled to find their range as they went 2 of 21 without Mike Tuck’s 2 from 2. Game hero(es) – Pierre Hampton led the Riders with 22 points and also added 5 rebounds and 5 assists with Tyler Bernardini adding 19 points in the win.